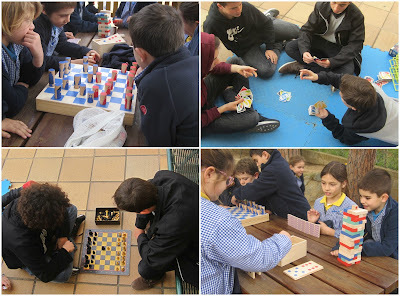 Blog Espai Migdia: PLAYING BOARD GAMES IN THE SCHOOL DINING ROOM. PLAYING BOARD GAMES IN THE SCHOOL DINING ROOM. The youngest and the older ones playing board games, making the lunch time enjoyable and funny.